Product does not match advertising. This fee may be waived for the following reasons. We will make the situation right, or help you to the best of our ability. STORAGE LOCATION SHELF 3. Our in-house technicians, test all parts thoroughly to be sure that everything is in working order. U9692 0U9692 CN-0U9692 HP-W7508F3. Dell Part Number: U9692 0U9692 CN-0U9692. Compatible Models: Dell Precision WorkStation 490 690 PowerEdge SC1430. Dell Precision WorkStation 490 690 PowerEdge. scratches from disassembly process, but are fully operational. ITEM HAS BEEN USED BUT STILL WORKS PERFECTLY WELL. We will respond promptly to your inquiry. There may be signs of use. Overall condition is GOOD. We will do our best to help you out. Compatible Part #'s: U9692, 0U9692, H750P-00, HP-W7508F3, MK463. Dell Precision 490, 690. Computer & Server Parts. Dell PowerEdge SC1430. Printer Parts & Supplies. Laptop DC Power Jacks. The guidelines are below. Working-pull from Dell Precision 690, will also work with smaller Dell Precision 490. Tested good, parceling-out my 690 that I've recently replaced. Trending at $21.99eBay determines this price through a machine learned model of the product's sale prices within the last 90 days. Good working condition. Item is warranted to be as specified in the above details, and in good working order (unless stated that it's condition is unknown). No software are included with any systems. 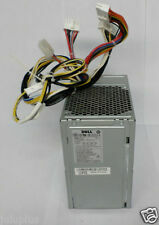 Dell precision 690 power supply model H750-00 p/n: is a HP-W7508F3. Used in working condition. Part Number: MK463. Fits model(s): Precision 490 690 Workstation. Watt: 750W MAX. Condition: Used. Connections: 20-Pin PCI-E 12-Pin Mini 20-Pin. Model Dell Precision 490. Manufacturer Dell. Condition Refurbished. New Page 1. New Page 3. Untitled 2. Part Number U9692. Manufacturer Dell. Our servers and parts are tested for full functions, R2/Ready for Reuse. Condition Reconditioned. Reference the RMA number outside of box. Check parts for our serial numbers before sending back. Part Number 0U9692. Manufacturer Dell. Our servers and parts are tested for full functions, R2/Ready for Reuse. Condition Reconditioned. Reference the RMA number outside of box. Check parts for our serial numbers before sending back. Item is warranted to be as specified in the above details, and in good working order (unless stated that it's condition is unknown). No software are included with any systems. PowerEdge SC1430, Precision Wrkstn 490. Output: 750w Max. will also work with Dell. P4 - 6-Pin Dell Proprietery Connector. P1 - 24-Pin Standard ATX Power Connector. P2 - 20-Pin Standard ATX Power Connector. Manufacturer Dell. Our servers and parts are tested for full functions, R2/Ready for Reuse. Condition Reconditioned. Reference the RMA number outside of box. Check parts for our serial numbers before sending back. Our support team is highly dedicated to handle all your needs. condition: New other (see details). Warranty Information. You would re-use your old harness. Fully tested, works perfectly. Item is clean and ready to use. We are also unable to cancel orders once the unpaid item process begins. Part Number: U9692. 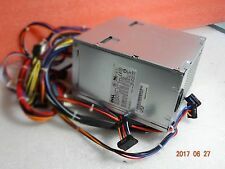 Compatible Part Numbers:U9692 0U9692 CN-0U9692 JK933 (1000w) MK463 H750P-00 HP-W7508F3. Fits model(s): Precision Workstation 490 690 Tower Systems PowerEdge SC1430 Systems. Tested for Key Functions, R2/Ready for Reuse. Working Tested, it has been Extensively tested & found to be functional. These are Used electronics and may have scratches, scrapes, sticker residue and/or other sign of use.